Description: Alan Alda plays a classical piano player on the rise who befriends a famous player himself who's at death's door. Unknown to Alda, the guy is a satanist, who arranges to have their souls switch places at his death, so that he can be young again and continue to play piano (thus needing a skilled piano player like Alda to switch bodies with). A frustrated pianist himself, music journalist Myles Clarkson (Alan Alda) is thrilled to interview virtuoso Duncan Ely (Curt Jurgens). Duncan, however, is terminally ill and not much interested in Myles until noticing that Myles' hands are ideally suited for piano. 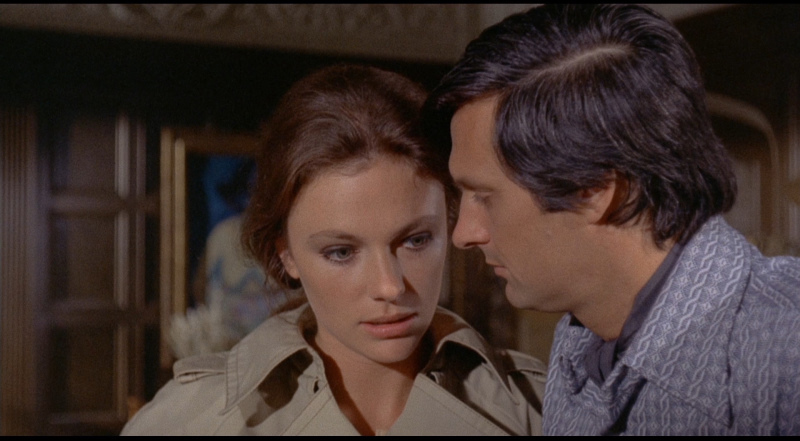 Suddenly, he can't get enough of his new friend, and Myles' wife, Paula (Jacqueline Bisset), becomes suspicious of Duncan's intentions. Her suspicions grow when Duncan dies and Myles mysteriously becomes a virtuoso overnight. When was the last time you were afraid? Really afraid? Brace yourself for the ultimate transplant... the human soul! 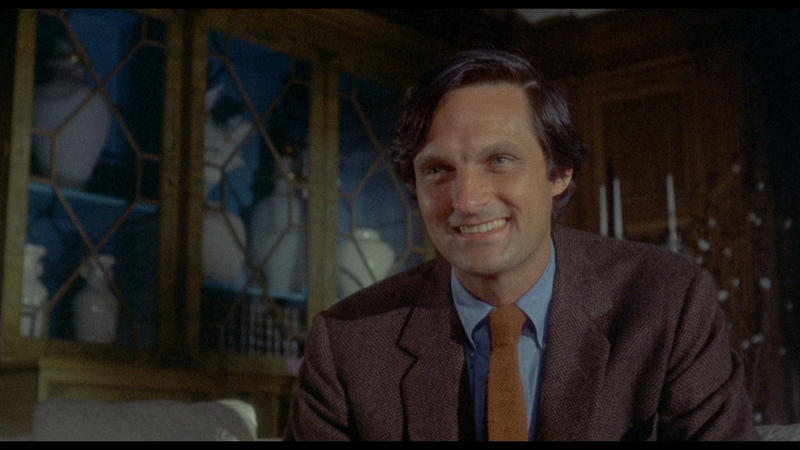 The devil is in the music in this sleek and scary piece of movie necromancy - when a failed musician-turned-journalist (Alan Alda, M*A*S*H) interviews a reclusive aging pianist (Curt Jurgens, The Enemy Below), he doesn't realize he's being interviewed himself... to be the vessel for the Satanist's dying soul! Back in a youthful body, the pianist plans for a long life in the spotlight, but when the journalist's wife (Jacqueline Bisset, Bullitt) realizes her husband's twice the man he used to be, she prepares to make his new life a living Hell! 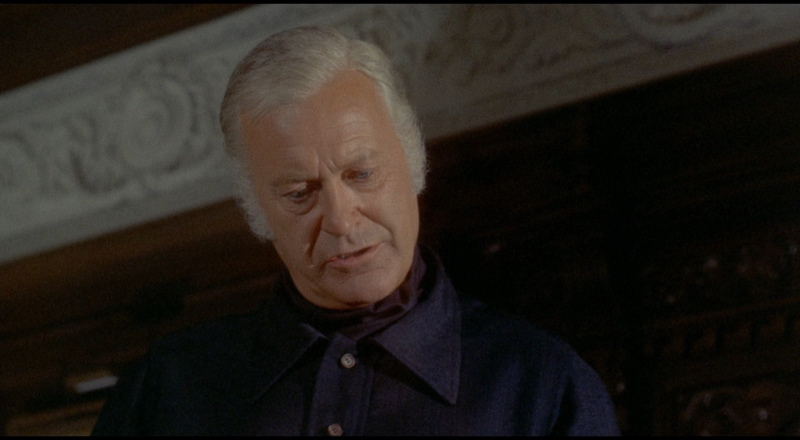 Television veteran Paul Wendkos (Cannon for Cordoba) directs this cult horror classic, based on a novel by Fred Mustard Stewart (The Norliss Tapes) with a screenplay by Ben Maddow (The Asphalt Jungle). The stellar cast includes Barbara Parkins (Valley of the Dolls), Bradford Dillman (Chosen Survivors), Pamelyn Ferdin (The Beguiled), and William Windom (TV's The Farmer s Daughter). A tale of diabolism with a plot familiar from Rosemary's Baby; but where Polanski's film developed into a complex investigation of doubt and fear as well as evil, this is anything but subtle. Alda plays an ex-musician turned writer of music ready to trade wife and child for a career, Bisset his down-to-earth, fearful wife who follows her man even into Satanism. 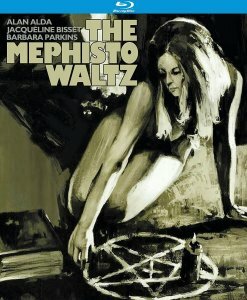 The Devil-worshipping couple are a world famous concert pianist (J�rgens) dying of leukemia, and his daughter (Parkins), whose incestuous relationship is continued after her father's death through his usurping of the younger man's personality and hands. Wendkos seems prone to script troubles with his movies, and this is no exception; he goes all out to kill it, shooting with heavily greased lens from every conceivable angle, exiling normality to periphery. 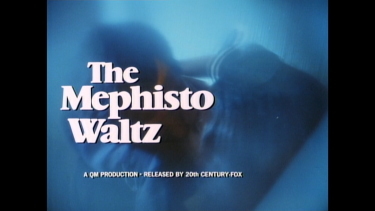 The Mephisto Waltz is an amazing triumph of style over content. The screen swims in an elegant palette of purples, scarlets, golds, oranges and blues and the sumptuous richness of its set dressings. 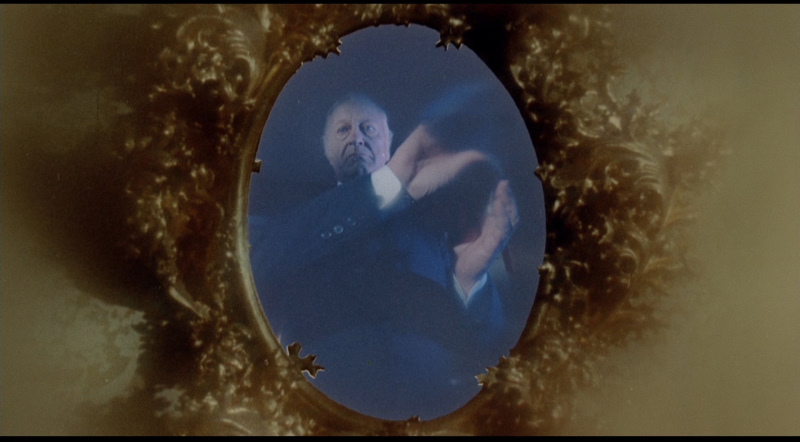 Paul Wendkos draws a menacing array of imagery – a masque with animal-masked partygoers and a dog wearing a human face, drug-induced nightmares shot through fisheye lenses, and some exquisitely showoffy shots through wine glasses or reflected off the big pendulum of grandfather clock – to often sensational effect. 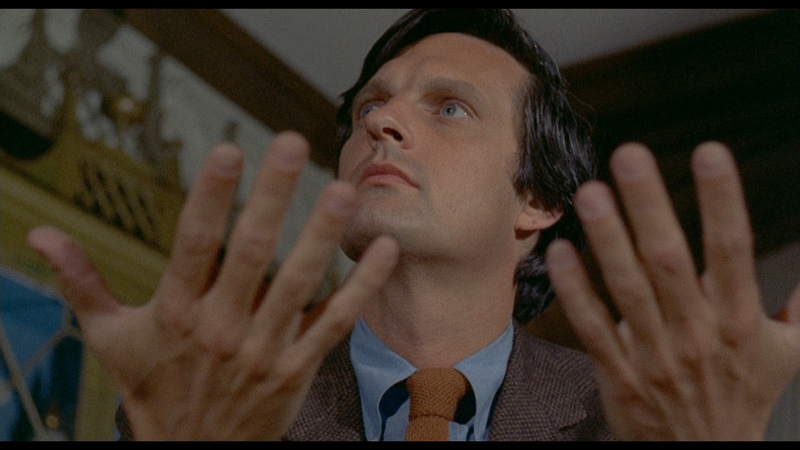 The film develops a palpable aura of evil and lurking menace. There is also an excellent score. 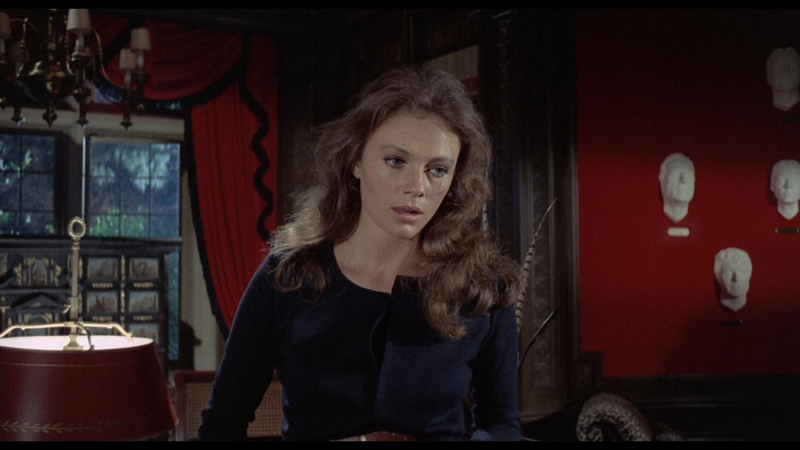 This lavishness of decor does an amazing job in helping disguise what is largely a rehash of Rosemary's Baby. 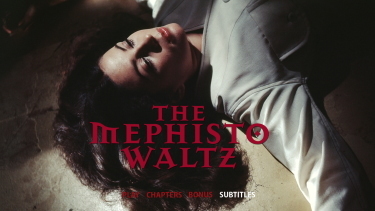 The Mephisto Waltz gets a single-layered 1080P transfer to Blu-ray from Signal One in the UK. 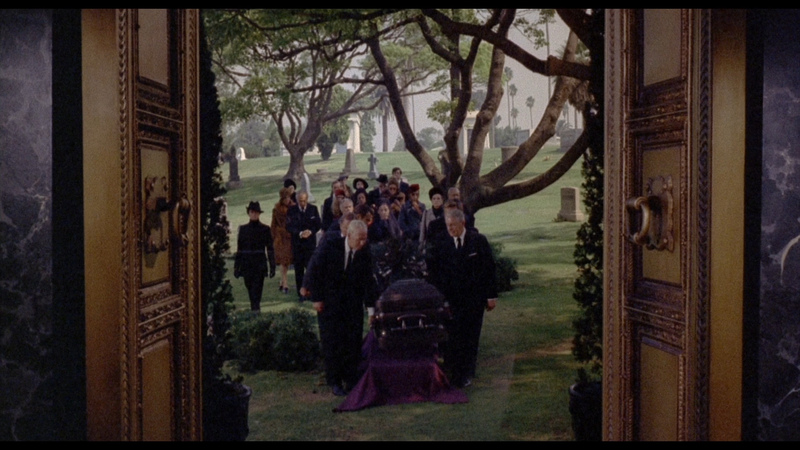 It doesn't look particularly dynamic but I'll wager it's a strong replication of the film's original appearance. 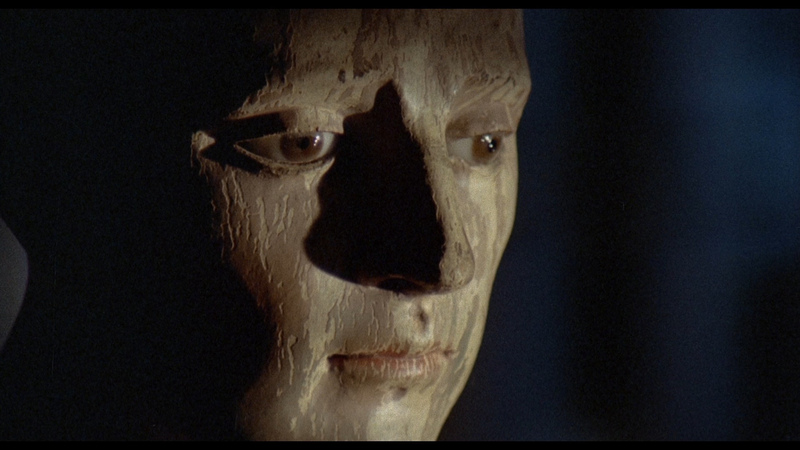 Generally, the visuals are consistently thick with texture, colors have a bit of richness and detail modest. It is in the original 1.85:1 aspect ratio and looks solid in-motion. There are some light frame-specific scratches and few speckles but nothing impinging the HD presentation. This probably can't look much tighter and we will confirm that by comparing to the upcoming Kino - which I anticipate will be very similar if not near exact in terms of quality. 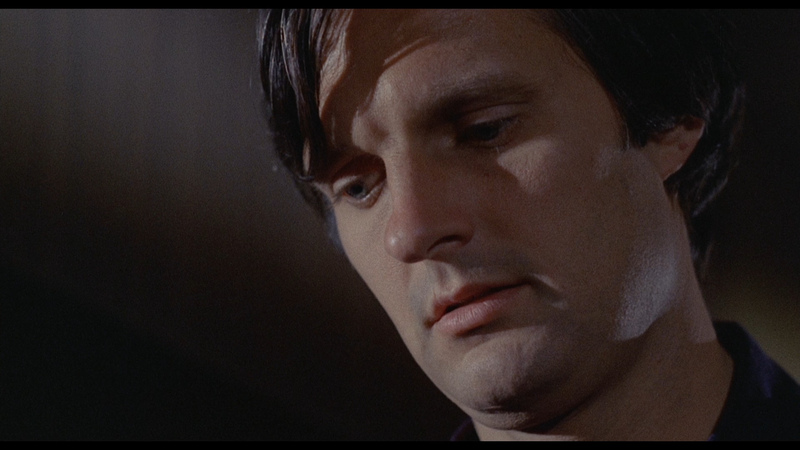 The Kino is also 1080P with a marginally higher bitrate. The visuals are slightly brighter with lighter colors. I may lean to the Signal One but in motion, few would notice differences. It looks good, clean and also thick. We've compared 3 exact frame matches (plus the subtitles) if you'd like to toggle between the full size screens. Audio comes in a linear PCM 1.0 channel track (24-bit). Effects exist but the biggest attribute of the sound may be in exporting the score by the great Jerry Goldsmith (Seconds, Hoosiers, The Blue Max, Breakheart Pass, The Omen) which has a brooding quality - sounding crisp in the uncompressed. There are optional English (SDH) subtitles and the Blu-ray disc is region 'B'-locked. Kino use a DTS-HD Master Audio English 1556 kbps 2.0 (16-bit) and I think the Signal One may be stronger, a shade more robust and authentically flatter supporting the high end of the Goldsmith score and the piano playing a shade more crisply. Most would not find it a significant difference. 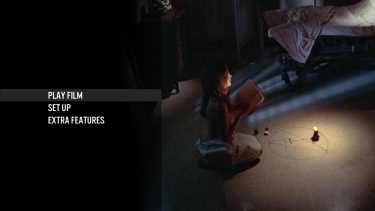 Kino add optional English (SDH) subtitles (see sample above) on their region 'A' Blu-ray disc. Signal One include an audio commentary by Nathaniel Thompson from Mondo Digital and Tim Greer. Thompson takes the lead and provides some good reference on the film's history, Fox's financial trouble and questions surrounding the production. 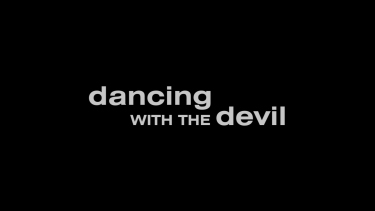 I enjoyed Dancing With The Devil - a 19-minute visual essay by Michael Mackenzie supporting the film while taking a contrarian approach and questioning Roger Ebert's criticism of 'lack of ambiguity'. His comments have value. There is also a promotional materials and stills gallery plus an original theatrical trailer. Kino include two commentaries - the first with Bill Cooke of Videowatchdog and the author of The Making of Gorgo (the film is reviewed on Blu-ray HERE). Her is excellent exporting plenty of interesting details about the production. 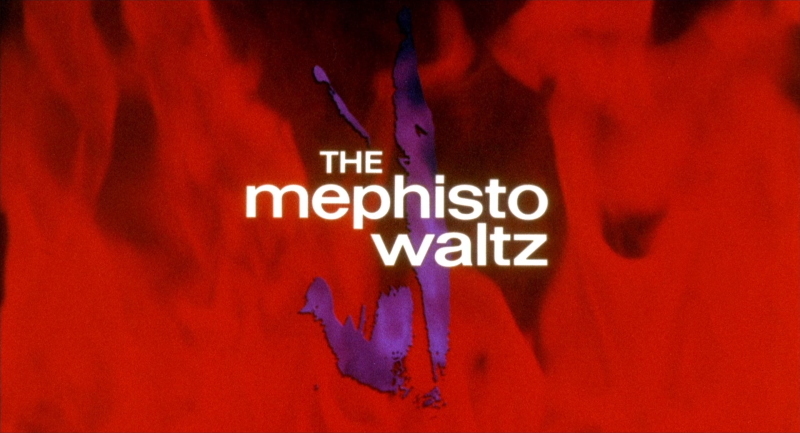 There is a second commentary with actress Pamelyn Ferdin (the 12-year old Abby Clarkson in The Mephisto Waltz), moderated by filmmaker Elijah Drenne. Some may recall her from The Beguiled as Clint Eastwood's poison'er and in What's the Matter With Helen?, with Debbie Reynolds and Shelley Winters. 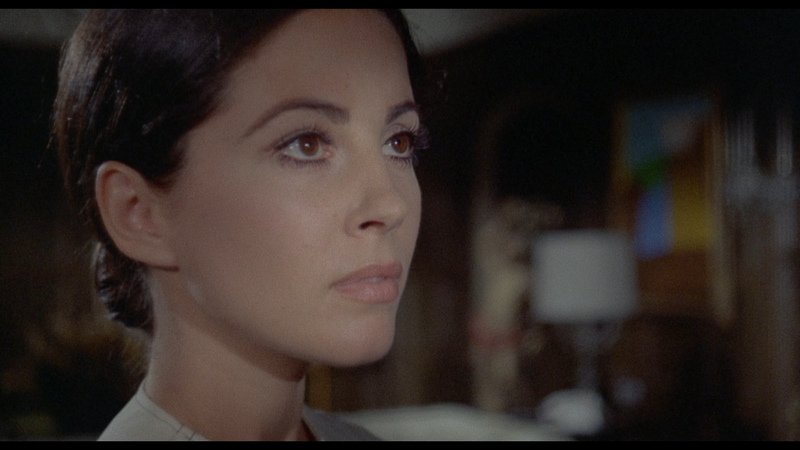 She talks quite a lot about her career and less on The Mephisto Waltz, as she had such a, relatively, minor role, although she was present for the entire production (as well as 3 hours of school a day, on set). 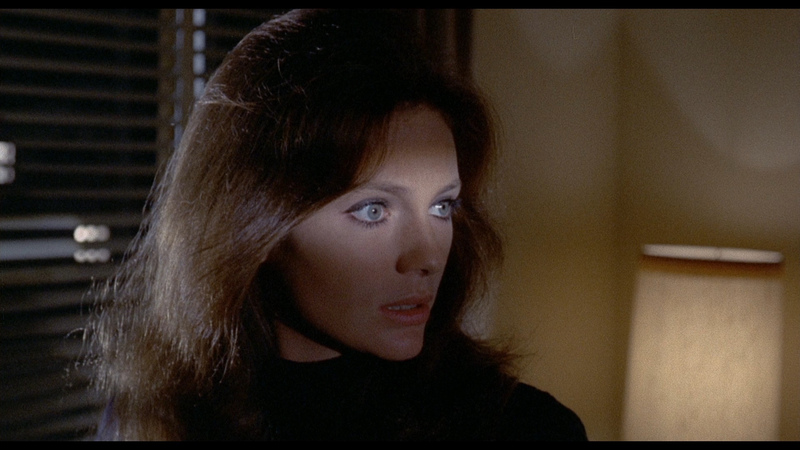 She discusses Jacqueline Bisset's remarkable beauty and the friendliness of the cast. 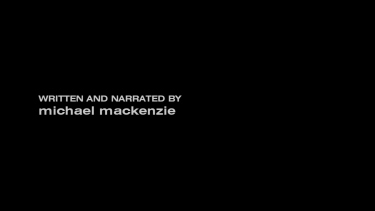 There are also some trailers including one for the film. Nice to have options. Kino adding two commentaries may be appealing but I'd say there is not much beyond that for the packages. 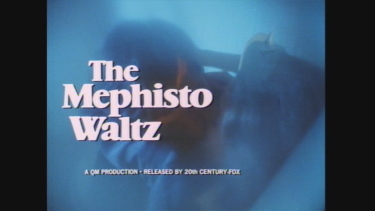 Solid, film-like, 1080P presentations and I'd say The Mephisto Waltz is getting better for me over time and repetition. It has its own appeal and I especially appreciated the Cooke commentary. Very reasonably priced at the writing of this review. Certainly recommended!